Purchasing a piano is an important decision. It brings so much joy to the family, bringing music to the household, creating a lifetime of musical enjoyment. There is a vast variety to choose from - acoustic or digital, upright or grand, black or white - choosing a suitable piano may seem like a tough choice. D-Flat Studios is here to provide some quick tips before you make that decision! Owning a Grand Piano is ideal for learning and performing at any stage! However, not everyone can afford the space and budget when making such decision. So it is most prudent to balance out value and purpose. While it may seem logical to purchase a cheaper instrument for a beginner, it is rather counter-intuitive as you will soon need to upgrade the instrument. Jumping for the better option may generate more enjoyment and longevity, allowing one to enjoy the instrument for a longer period of time. A good budget range for a brand new acoustic piano is SGD5,000 to SGD9,000. A good budget range for a brand new digital piano is SGD899 to SGD4,999. As urban living spaces shrink, buyers need to consider the real estate where they intend to place their piano. Acoustic pianos require dedicated furniture space and regular maintenance. Twice yearly tuning, voicing every two years, and a heater 24/7. For smaller homes, the portable keyboard can be an alternative. Foldable keyboard stands allow a keyboard to be placed anywhere at home, even in the kitchen! Moreover, they are lightweight (from 4.3kg) making them highly portable for outdoor events! Afraid that your playing will disturb your family and neighbours? Practising on an acoustic piano will inevitably project your playing. This can be countered by practising using the "lute stop", where a layer of soft cloth is inserted between the hammers and the strings. Also, thick carpets, drapes and curtains can help to 'deaden' the space, creating a better acoustic environment for the pianos. 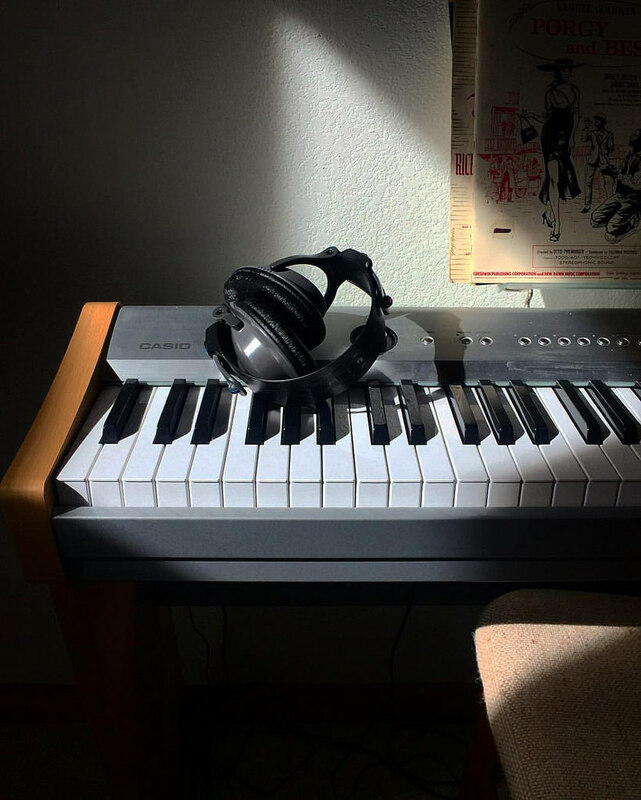 A digital piano can allow you to practise silently, with headphones. Digital pianos also offer the volume knob, which can be tweaked to suit the needs of the user. Keyboards work in a similar fashion too. These will cause zero sound emission to others. 4. So, Acoustic Piano, Digital Piano or Keyboard? With the variety of pianos available in the market, it is helpful to think in 3 broad categories. They are the acoustic pianos, digital pianos(hybrids) and the keyboard. The list below illustrates some of the pros and cons of each type of piano mentioned above. -Full range of details and nuances to be explored. -Most expensive among the 3 types of pianos discussed. -Could be intrusive while practicing if placed in a common living area. -Needs regular maintenance and proper care to prolong its shelf life. -Mimics most of the detail and nuances of the acoustic piano at a lower price. -Most models offer a headphone jack for silent practice. -Semi-portable. Usually attached to a base stand, detachable by screws. Can fit into a typical sedan car. -Dependent on electricity power to operate. -Certain models may need firmware upgrades (from the piano makers) in order to have the latest sound library available. -Certain models may not contain hammer action. -Does not replicate all details and nuances found on an acoustic piano. -Not suitable for students who plan to develop proper finger techniques on the piano. Acoustic Pianos - YAMAHA U1. Digital Pianos - CASIO Privia PX-770, CASIO GP-300 (Grand Hybrid Piano). If you still have questions or enquiries, you can always drop by our Tanglin studio and get some assistance from our dedicated teachers or have a look at all 3 types of pianos before you make any purchases. Older PostAdult Piano Lessons - Is it too late to start?